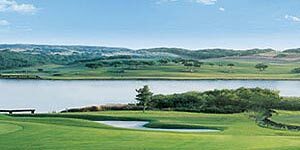 La Reserva de Sotogrande is an exceptional setting for golf, featuring spectacular greens and four magnificent lakes. The hilltop clubhouse, designed in the style of a fine Andalusian country home, offers panoramic views of the golf course and friendly hospitality. Players can also take advantage of the services provided at the Sotogrande Golf Academy located there.